CENTRAL — With the resignation of State Rep. Clif Richardson (R-Central), two Republican candidates are battling to replace him in a Special Election on Saturday, March 2. Businessman Barry Ivey and Metro Councilman Scott Wilson are working door-to-door, sending out campaign mailings, and sign-waving on street corners. The Louisiana Association of Business and Industry has announced it has no endorsement in the race. The East Baton Rouge Republican Parish Executive Committee is expected to hear from the two candidates at an Endorsement Meeting at 6 p.m. on Thursday, Feb. 14 at the Metro Council Chamber. 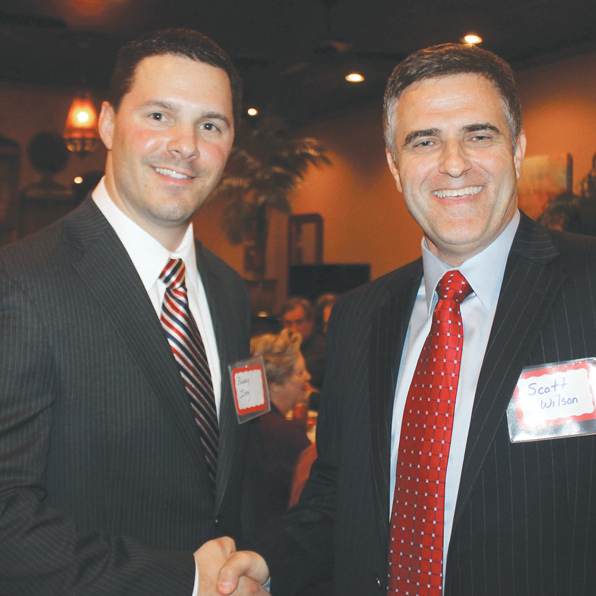 The 17-member body, which was elected by the Republican voters of the parish, could endorse one or both of the candidates or make no endorsement. The PEC had an important victory in December when its candidate for the Louisiana Supreme Court, Jeff Hughes, won a Special Election. House District 65, which Richardson represented since 2008 includes the southern half of the City of Central and the eastern edge of East Baton Rouge Parish as far south as Jones Creek Road. The Central Community Alliance will hear Ivey and Wilson speak at a Meet the Candidates Forum at 7 p.m. on Tuesday, Feb. 19 at DEMCO Meeting Room, 16262 Wax Road. Both the CCA and PEC meetings are open to the public.